Take up your lightsaber, a galaxy awaits! I don’t know about giving EA more of my money. Very disappointed in their last few big releases. SW Battlefront II, Anthem, and the other SW games that were cancelled. I’ll try and be hopeful that this one is good. I’m in the same boat, but if I specifically look at respawn and the story they did for titanfall 2, there is hope … I dare say, they maybe our only hope. They said nothing of the sort it would be like Sekiro. You know how many people would cry? They absolutely did. They specifically said it’s a melee combat system focused on striking, parrying, and dodging. No one anywhere said anything about the difficulty being similar. Calm down. got cold busted, says calm down. I mean I wished they would’ve showed some gameplay. When will these publishers learn that people want to see how your game plays not a cutscene trailer. A lot of times gameplay will change a lot from where it is now, so it isn’t uncommon for studios to release tone pieces first. I think it makes sense to see rendered trailers so far, just take it for what it is. Assuming no delays, the game is going to come out when it comes out. We’ll certainly see plenty of gameplay and reviews before then. I’m way more excited about this than Episode IX. 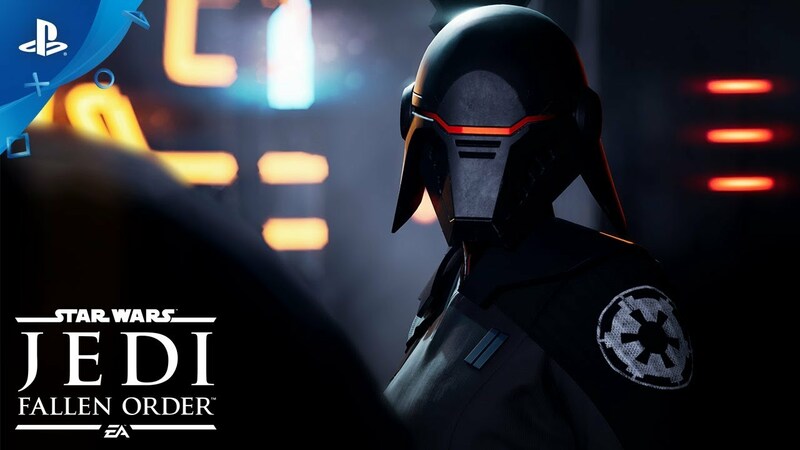 However, since Jedi Fallen Order seems to be on a release schedule to tie with Episode IX, we all how well rushed releases go. Definitely not pre-ordering, but I will be on top of reviews. If the word is good, I’m happy to buy it for the launch price on a day one. If not, EA doesn’t waste time discounting their less successful games. Fingers crossed though that Respawn delivers a solid game on release date and not an unfinished mess because EA didn’t give them enough time. I think I’m with you on this one. While I have had some moments where EA published titles have fallen flat or not gathered my interested enough, I tend to put more weight into the studio itself. There are many incredible EA-published games as well out there. I admittedly did not play Titanfall 1 or 2, but Apex is incredible and given the pedigree Respawn has in quality games, I have no doubt at the very least that this will be mechanically very tight and satisfying to play. The story does seem cool as well and I hear they did a good job in TF2’s story. So I will be certainly keeping my eye on this one. @ Dead-Sync – “Apex is incredible and given the pedigree Respawn has in quality games”…you cannot be serious.I wonder what is your definition of quality. Tentatively excited, but like heck am I plunking down money for an EA game before reading reviews. Incoming “i like respawn but screw e.a” posts. That’s all? Wow, what a failure, You better up your game. I played this game, already. It was called “The Force Unleashed”. We should have gotten “1313” instead. 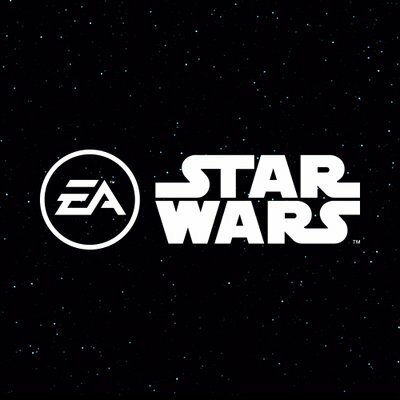 As long as it is a single-player Star Wars game with no microtransactions (gambling mechanics) and no multiplayer (grind progression mechanics), I am going to stay open minded about possibility of it being a good game for me. WOW! You had a closed alpha look at the game and know exactly how it plays! WOW! Because Force Unleashed was the first 3rd person Jedi game ever. Hey Jisatsu, you missed the joke. You have a choice between giving EA money or playing nearly 35+ years worth of Star Wars games instead, many of them probably more worthy of your time. EA is untrustworthy, so this is going to be a pass. Hopefully, they’ll be an exclusive PSVR mode. Considering Vader Immortal is an Oculus exclusive I doubt we’re going to see any more Star Wars content on PSVR. In a 3rd person arpg? Why would there be? Holding out until I see game play. Honestly the story didn’t look too interesting. The last two cancelled Star Wars single player games looked like they had more interesting stories. Glad they are getting rid on micro-transactions though. Also on a side note, do we really need another generic white guy Jedi? 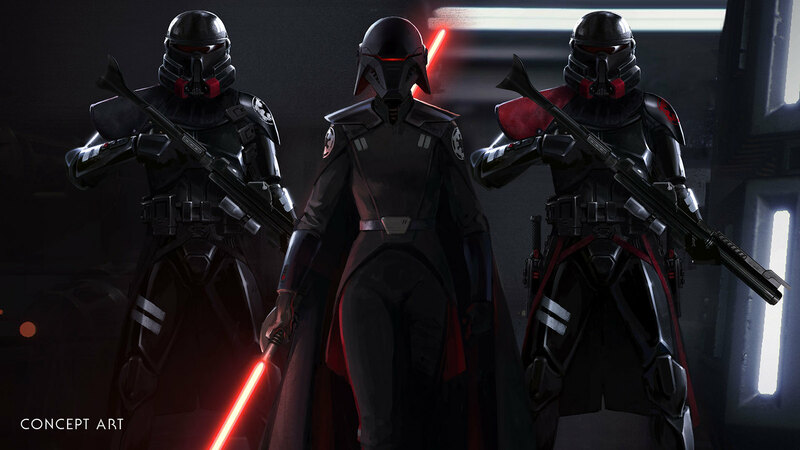 No offense to the actor but I would have loved to see a different type of hero Jedi for once. Hopefully he doesn’t turn out to be as boring as the guy from Force Unleashed. He already looks as boring as Starkiller.I smell another poorly written protagonist lol. Yeah I was hoping for a transgendered, wheelchairs bound, multiracial character with narcolepsy, now that would be awesome. Finally revealed hu,wondering if it’s “another” open-world.A single player story eh?…looks like EA changed their mind about SP games not selling hahaha.Also I’m faded to know we’ll play with that dumb boy of the trailer…when I saw it expected to have character creation.And I’m really in doubt about this game cuz I don’t trust respawn one bit…they’ve done nothing but crap until now so really lookin forward to the gameplay at E3. 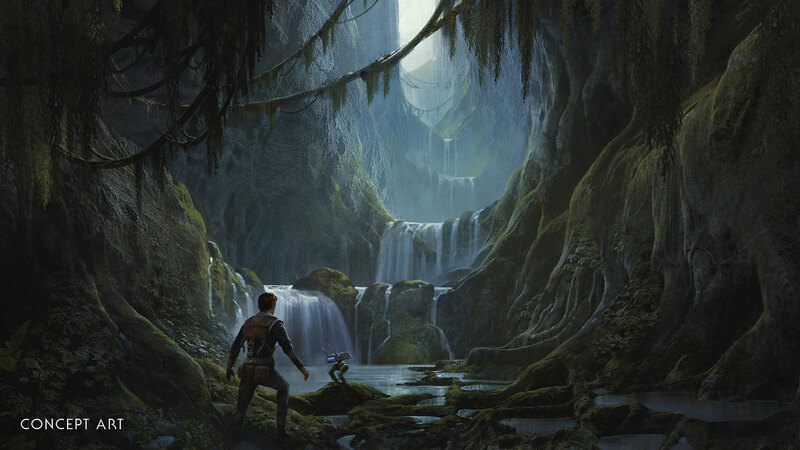 If Redspawn and EA can make an open world ‘Assassin’s Creed: Odyssey’ or ‘Horizon Zero Dawn’ set in the Star Wars universe, featuring Jedi powers and lightsabers, I’ll be throwing my money at them faster than you can say “Lucas loves Jar Jar”. Love Star Wars but I will NEVER buy another EA game. I’m done paying full price for half a game and then being offered the rest for more money. Done. I love Star Wars but after purchasing Deluxe versions of both SWB 1, and SWB 2…never again EA! !